The Immigrant Worker Protection Act prohibits employers from voluntarily granting ICE agents access to private areas of worksites or to employee records. If ICE agents have a judicial warrant or subpoena for the records, however, the state law allows employers to grant them access, according to guidelines released by California Attorney General Xavier Becerra. 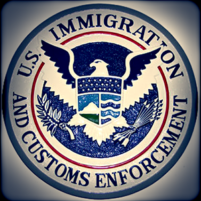 Under the new state law, employers must also notify employees of record inspections that federal immigration agents are conducting within 72 hours of receiving a notice of inspection. Likewise, employers are prohibited from reverifying workers’ employment eligibility at a time or in a manner that is not required by federal immigration law. Employers can be fined up to $10,000 for not complying with eligibility reverification provision. Violations of other provisions of the law can result in fines of $2,000 to $5,000 for the first offense and $5,000 to $10,000 for subsequent offenses. Assemblyman David Chiu (D-San Francisco), the author of the legislation, also released a statement on the new rules. Any Church or other organizations that shields or protects including feeding illegals should loose their tax exempt status. Anyone who gives the bums money should be fined you are just abetting their addiction to drugs and alcohol. Get all the lobs in Sacto for Perjury their oath of office To Uphold The Constitution Of The United States. So they lied under oath. So, according to the state of CA your private property is not yours. You cannot allow someone on your property without permission from the state of CA? I don’t see how that can hold up. Records are also the property of the people who create and maintain them. The decision to show things to other people is yours, not the state’s. AB450 is meant to protect criminal activity and as such it is very much in conflict with federal law and the constitution. Anyone who has committed a crime SHOULD live with fear of being arrested. If someone comes into the country illegally they SHOULD live with the fear of deportation for the simple fact that they entered the country in violation of our immigration laws. Regardless of the topic, California is on a “penalty fine” rampage. California passed a law requiring a annual fee for any recorded permit / license with their logo on it. This year California sent recorded water right holders essentially a threating letter with very large fines if the annual report is not filed online. It does not surprise me that Sacramento, California want to fine those who comply with Federal law, let’s see what the Feds have to say?